Developed by Traveller's Tale, Published by Warner Bros. Interactive Entertainment, Release September 27th, 2015. Review copy provided by publisher. One of the first things you do in LEGO Dimensions is build a LEGO set. It's a small one -only a few hundred pieces- but it does a great job of setting the tone. This isn't just a game and it isn't just a toy. It's a mixture of the two and a successful one at that. When the game opens, the evil Lord Vortech is nearing the final stages of a scheme to merge all universes into one that he, being a big bad evil guy voiced by Gary Oldman, will control. 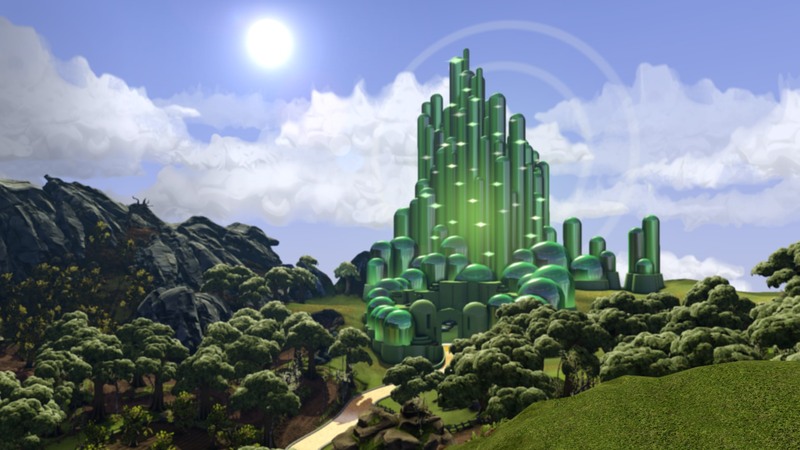 The catch is that many of these elements are emblems of pop culture; kryptonite, the One Ring, the ruby slippers from The Wizard of Oz. Vortech's incursions into these worlds naturally draws the attention of their heroes and villains who, in turn, leap into action to either help or hinder him. 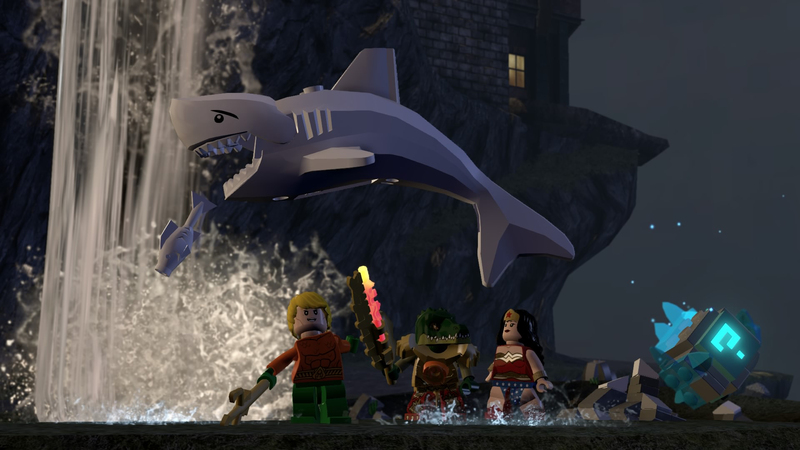 At the game's outset, the player takes control of a trio of good guys including Batman, Gandalf, and Wildstyle of The LEGO Movie fame. As their adventure continues on to more and more worlds, they cross paths with a smorgasbord of famous characters that range from the Ghostbusters to GLaDOS. If it sounds at all silly, it's because it is. Gloriously so. Dimensions has a blast playing all of the various characters and universes off of each other. The opening cutscenes alone contain a ton of chuckle worthy moments as the main trio connect. The slap fight between DC Universe Batman and LEGO Movie Batman had me laughing aloud, as did other many other moments throughout the game. I was perhaps less enamored with the gameplay but, honestly, that might just boil down to a matter of taste. The running, jumping, and combat of LEGO Dimensions work perfectly well. The vehicle controls are a bit finicky, but outside of that you'll find little to complain about on a technical level. 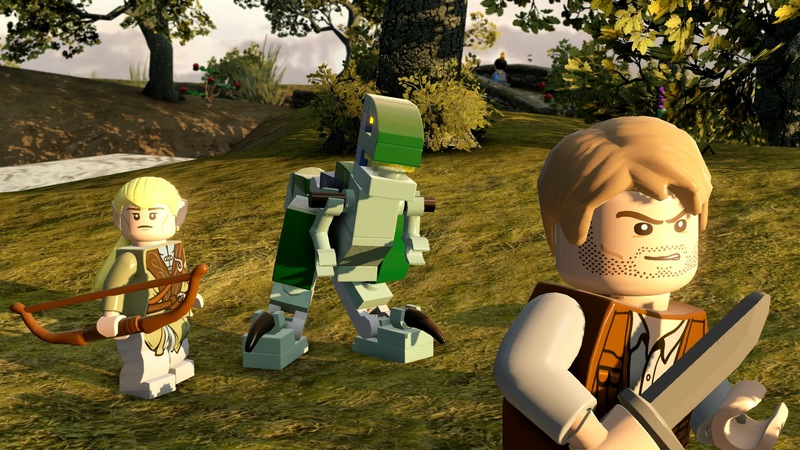 If Dimensions represents something of a culmination of all the previous LEGO games, then its developers have learned their lessons well from past efforts. That said, its drive to be an all-ages title also means that the combat might be a bit too basic and easy for gamers used to more challenging experiences. When push comes to shove and you find yourself facing a horde of hostile mini-figures,it's usually possible to get through it with little more than button-mashing. Make no mistake, punching your enemies and environments into pieces is a pleasure that never gets old. If you're used to more intense titles though, Dimensions' more mellow combat might leave you wanting. Where it makes up for this is with its physical components and the clever ways that it ties them into gameplay. 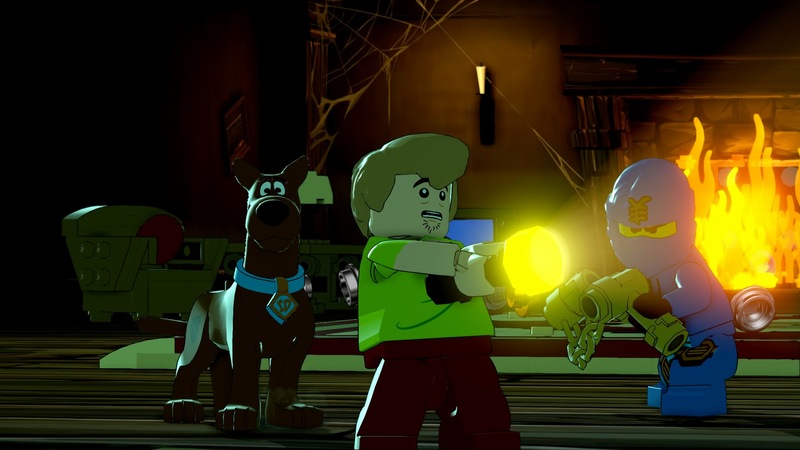 Taking a page from Skylanders and Disney Infinity, LEGO Dimensions comes packaged with a special "portal" that can be used to bring new content into the game and interact with it in the physical world. 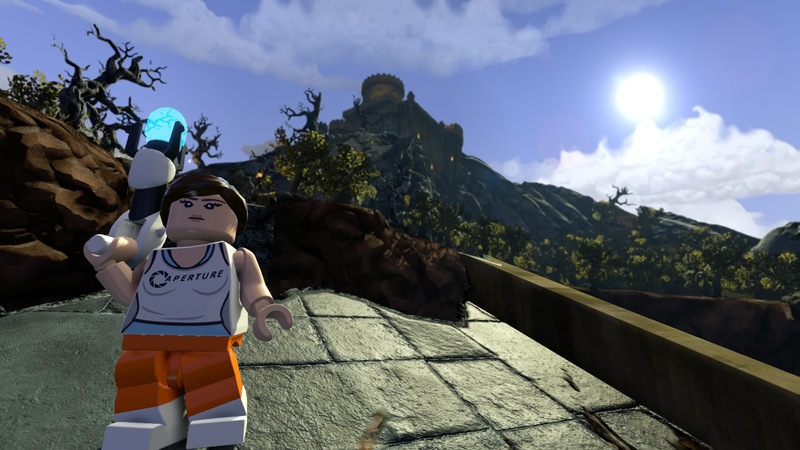 By placing Dimensions branded mini-figures and tokens on one of the portal's three scanner panels, the player can drop and swap in new characters at will. Tired of Batman? Pull him off the portal and replace him with Wonder Woman. 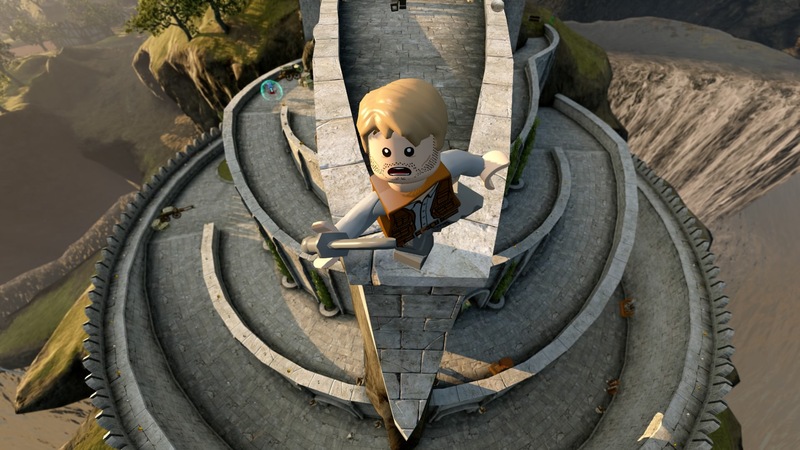 The game also uses the portal to add fun bits of real-world interactivity that help otherwise standard puzzles and boss fights feel unique. Oftentimes it doesn't amount to much more than shuffling mini-figures between the different sections of the portal. Simple as it is in practice though, it's still a lot fun and adds a lot to the game. This is especially true if you're the parent of a young child. My three-year old daughter likes video games but is usually forced to sit on the sidelines watching me and my wife play. 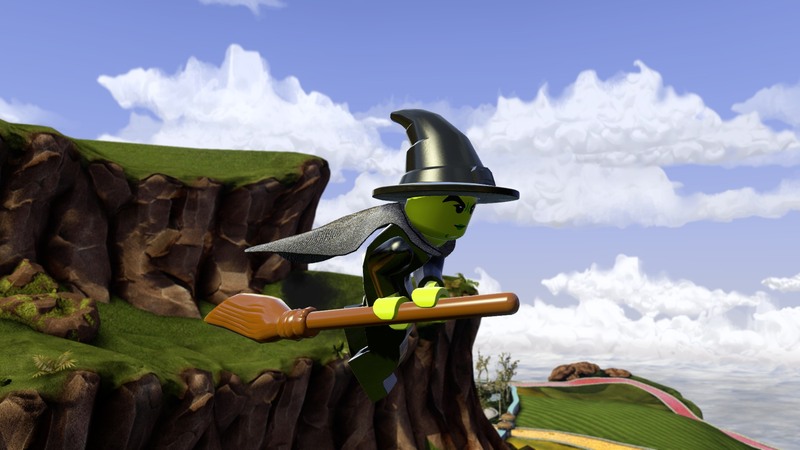 In LEGO Dimensions however, she was able take an active part in the game. Whenever a battle or puzzle called for me to tinker with the mini-figures, I could hand those to duties off to her. She, in turn, delighted in the opportunity to "save Batman" and help her Daddy. This obviously won't be a point of value for everyone, but in my case it did a lot to expand on my enjoyment of the game. Even with all of these positives laid out however, Dimensions still suffers from a basic problem that could be prohibitive for many gamers: cost. While the starter package contains enough content and materials to keep you busy for hours, there's a tremendous amount of gameplay that's inaccessible until you purchase additional expansion packs that cost between 15 and 30 dollars each. Add that to the 100 dollar price-tag of the base game and it can become incredibly expensive. Now, to be fair, the expansion packs actually do add a lot to the game. 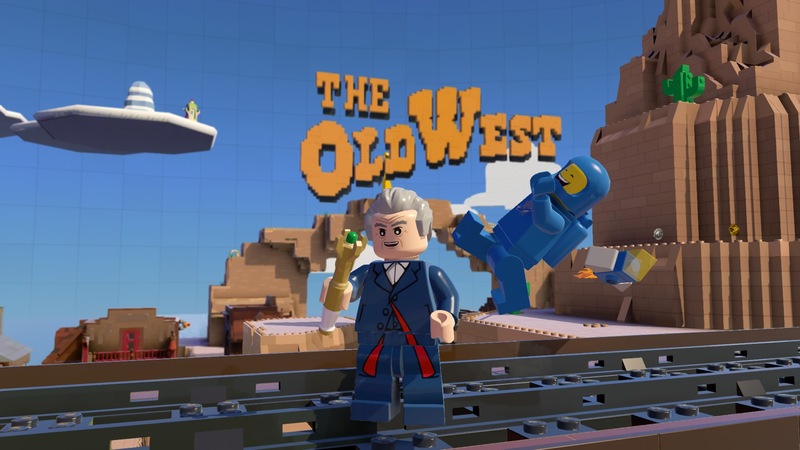 Each mini-figure you purchase gives you access to new controllable characters and can opens explore-able world zones based on the universes they hail from. A single zone can add in hours of side quests and collectibles that are easily the equivalent of the DLC and expansions offered by other games. The problem is that many of these extra quests requires specific characters to complete. In other words, if you don't buy everything, you're inevitably going to miss something. It can be hard sometimes to avoid feeling a bit nickel-and-dimed at times. 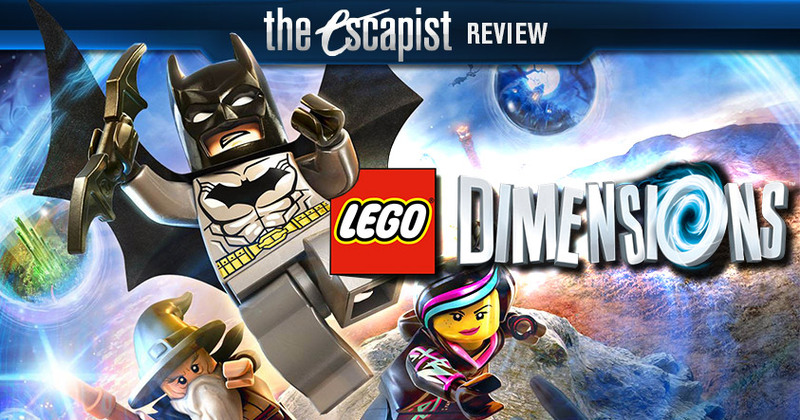 If you can set those feelings aside though, LEGO Dimensions is an undeniably enjoyable game. It's funny, it's clever, it's accessible, and it deliver more moments of cross-over bliss than you'd think possible in a single video game. While the costs associated with it are definitely something to consider, the fun contained within the overall package can't be underestimated. Whether you're a gamer young, old, or old playing with someone young, LEGO Dimensions has something that you'll enjoy. 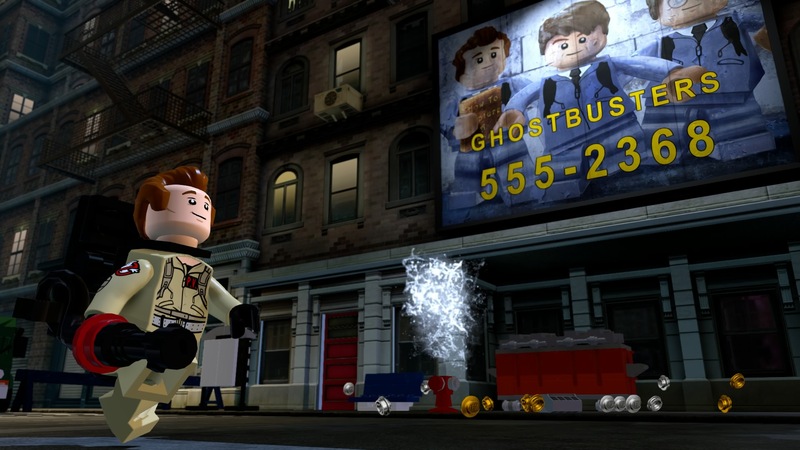 Bottom Line: While it's undeniably expensive, LEGO Dimensions delivers a grand cross-over experience that's fun for all ages. Recommendation: If you can afford the expansions and are looking for some easy to play fun, LEGO Dimensions is well worth the price of admission.